With Thanksgiving coming up this Thursday in the USA, we thought it would be fun to see what we're all thankful for! This can be bookish or not. It's completely up to you! - I'm thankful for where I am in my life! This has been a hard year for me, and full of a lot of big changes. Those changes have turned my life into something great, though, and I'm happy about where I'm headed! - I'm thankful I have such an awesome mom, who understands me. We're best friends! - I'm thankful for warmth! Warm food, drinks, blankets, homes, beds, people. It has been SO cold, and I have been SO sick the last week. I'm so thankful for the blessing it is to be warm. - I'm thankful for those books that make you never want to read again, because you know that the next book will never top that one. - I'm thankful for my public library: the majority of the books I've read this year have been borrowed from the library. I'd be lost without the library! - I'm thankful for music: listening to music is such an outlet for me. There are songs I can listen to twenty times in a row and never get sick of them. Hans Christian Andersen said one of my favorite quotes, "where words fail, music speaks". - I'm thankful for hot drinks: specifically coffee, tea, and hot chocolate. It's been brutally cold in New England for the past few days and hot drinks have been heavenly. - I'm thankful for having a great first year of marriage: We've certainly had our trials this year as newlyweds but we've managed to make the best of it. Seriously, some days we just sit down and laugh and poke fun at the messes of life. - I'm thankful for being an auntie: There's nothing so beautiful as watching my two nieces (2 years & 3 months) grow up. I always get so teary eyed talking about them but I would do anything for those babies. What are you thankful for this year? Have a great Thanksgiving, friends! My local library made my list this year, too! I love buying books as much as the next person, but this year I have really tried to use my library whenever possible. It's part of a great system, and I'm so thankful to have it! Jen: My library is at the top of my list. Money-wise, it is a life-saver. The library is on my list too! I <3 my public library. I second, third, and fourth the library. It is definitely a life saver. Great topic! It's nice to think about (and point out) all the things you're gratefull for in life! I love how you all pointed out the small, mundane things of life that we all take for granted every day, hardly realizing that they really are such huge, amazing blessings! Thanks for reminding me to be grateful for "little" things like homes, beds, the library, and having a sense of humor. Happy Thanksgiving to you all! I am really happy that all of you seem to be at a really great point in your life! 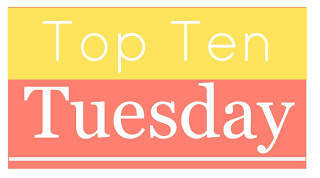 Thank you so much for having such a meaningful top 10 tuesday! This is a great list! I am in agreement with many of your thanks...hot drinks, good books, inspiring music, close family...what's not to be thankful for?! I hope each of you have a happy thanksgiving! Awesome list! I just did a book list I'm thankful for, but I love the picks! Quite beautiful thoughts today! I am also thankful for the library! Since Hanukkah starts tomorrow night, I did my wish list early, but I will catch up on the thankfulness later. This is a great list! I've been using my local library a lot more this year than I have in a long time. It's so great to have that resource available! Excellent list today, ladies! It made me think once again about what I'm thankful for (since I celebrated my Thanksgiving last month up here in Canada). Happy Thanksgiving, everyone! I should have added the public library to my thankful list! I have really enjoyed visiting the library this year and checking out tons of new releases! Nice list! Thanks for creating this meme, and this prompt. Have a Happy Thanksgiving! Everyone has such lovely lists this week! Jamie Congrats on 1 year marriage. Love that you can laugh now about some of the messes. I have been married 23 years and love it. Do not get me wrong there were some rough times but we stuck it out and that is what made our marriage so strong now. Jana love that you are happy where you are in life now. Best feeling ever! Jen I am thankful for hot drinks too as it is cold in my neck of the woods too. I see so many people included library in their list - I did too! And music too... oh yes. 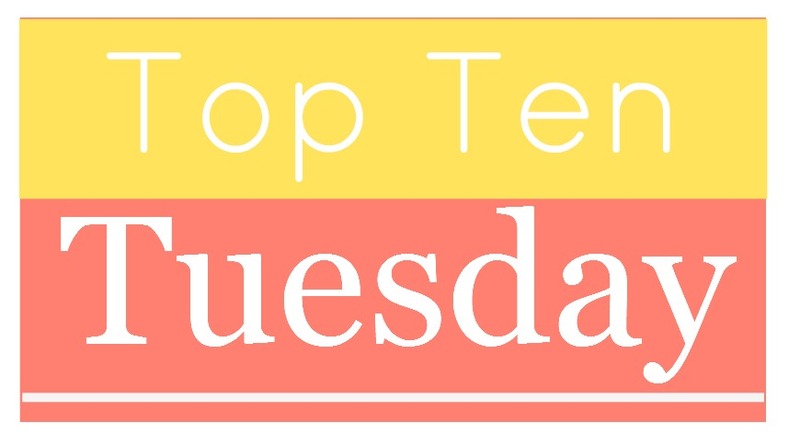 It's been a long time, and I've missed Top Ten Tuesday. Here's to lists, and to holdiays! I tried putting mine in twice into the Mister Linky widget but it will not let me.